Want the practicality of an SUV but the drivability of a car? 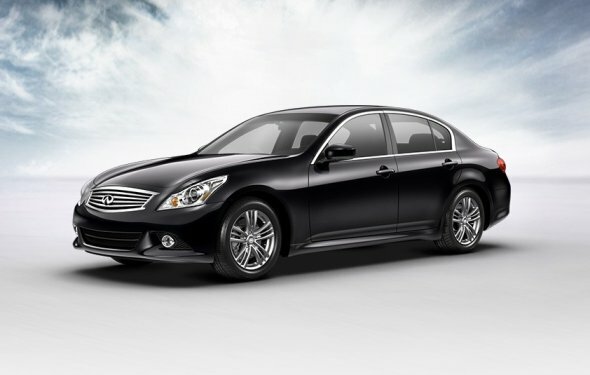 Wagons provide the driving fun of a sedan with the practicality of an SUV. What’s not to love? In the 1950s and 60s, parents drove sedans, so their kids adopted wagons in the 1970s and 80s. Then, the birth of the minivan drove kids of wagon-toting parents into vehicles with sliding doors, a boom that lasted well into the 90s. Now, children who grew up in minivans are buying SUVs and crossovers in droves, so what’s next for when the next generation starts buying cars en masse? 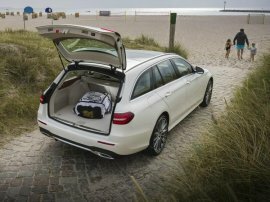 Well, believe it or not, the return of the wagon may be already upon us, as there are more (and more importantly, better) offerings than ever for those who want the drivability of a car with the space of an SUV, and without sacrificing all-important factors like all-wheel-drive and safety performance. With that in mind, we’ve come up with a list of the 9 wagons that provide the cure for the common crossover: loads of practicality with a heaping helping of style and quirkiness. The 2017 Allroad is so good at all things, we made it one of our recommended premium SUV models despite not being a true SUV. We may have named it one of our recommended Premium SUV models in the 2017 Daily News Autos Awards, but frankly, that’s because this raised wagon does everything most luxury SUVs can do, but with more style and drivability. The 2017 Audi A4 Allroad is one of the best all-around luxury vehicles for sale today, and starting at , 000 MSRP, it’s a relative bargain in comparison to premium SUV models with a similar level of space and comfort. The ‘Ultimate Driving Machine’ comes in wagon form too under the name BMW 3 Series Sports Wagon. BMW’s iconic 3 Series is still the benchmark for entry-level luxury cars – whether or not it’s actually the best one – and the wagon variant is no exception. In fact, it’s the only true wagon left in its class, as all the other automakers have gone with lifted ride height and plastic body cladding to feign rugged capability. Available in gas or diesel with all-wheel-drive as standard, you can have one of the best-driving wagons on the planet right here in America for $42, 950. Sounds like a steal to me. Buick may have a hit on their hands with the 2018 Regal Tour X, an affordable, stylish alternative to lifted luxury wagons. It’s a brave new world for the Buick brand, and for the first time in years, they’re bringing a wagon model back. The 2018 Buick Regal is one heck of a looker right off the bat, but with the lifted, all-wheel-drive Tour X model, it may just be one of the best all-around entry luxury cars to come out of America in years. No pricing has been announced yet on Buick’s sleek new Outback competitor, but expect it to be in the , 000 - , 000 range. When it comes to luxury wagons, none are longer or more elegant (or rather, more expensive) than the Mercedes-Benz E-Class. Believe it or not, Mercedes-Benz does make a wagon version of their new E-Class sedan, no matter how much they attempt to hide it with a lack of any marketing whatsoever. But those in the know are keenly aware that the brand’s bar-setting midsize luxury sedan is even better with a hatch out back and more cargo space, and for $62, 300 MSRP, you could feel smarter than everyone else too. 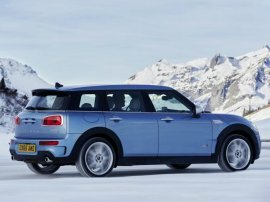 Available in 3- or 4-cylinder, all-wheel-drive or front-wheel-drive, and with a raucous performance model, there’s a quirky Mini Clubman for everyone. Frankly, we should all thank Mini for helping to keep quirkiness alive among an onslaught of bland small car offerings with their weird, barn door Clubman wagon, now with more conventional doors than the first generation. Available with a frugal 3-cylinder, more potent turbo 4-cylinder, or in raucous John Cooper Works trim, there’s a Clubman for every weird wagon aficionado, starting at just , 100. 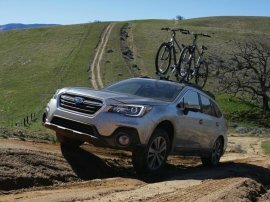 The standard among lifted, all-wheel-drive wagons gets better for 2018 in the form of the updated Subaru Outback. The Subaru Outback is so good at convincing people that it’s not a wagon that it was able to rocket to the top of Subaru’s sales charts with minimal drama, keeping the segment alive almost singlehandedly when all seemed lost. For 2018, the Outback gets a host of updates to keep it competitive, and at $26, 520 MSRP, it’s one of the best family SUV alternatives out there, and one of our recommended ones, too. Our 2017 small car of the year gets an update for 2018, making the Golf Alltrack and SportWagen as enticing as ever. Volkswagen’s (formerly) beloved diesel models may be gone, affecting a large portion of their wagon sales business, but the company has responded by making their Golf-based wagon models better and more well-rounded than ever. 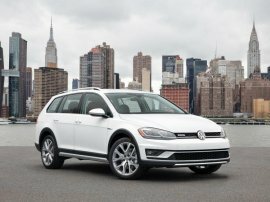 Available in front- or all-wheel-drive SportWagen and the lifted, all-wheel-drive Alltrack model, both updated for 2018, these long Golfs are surging in sales numbers, so get one while they’re hot at just $21, 580 MSRP. Oh, and did we mention the 2017 Golf lineup was our best small car this year? The V60 may be getting long in the tooth, but it’s still one of the best-looking and best-driving wagons out there. Volvo is almost synonymous with the word “wagon” thanks to the onslaught of boxy Swedes in the 80s and 90s that flooded the roads of the Northeast, Northern California, and Colorado, and in 2017, they still make one of the best, even if it’s a bit long-in-the-tooth. 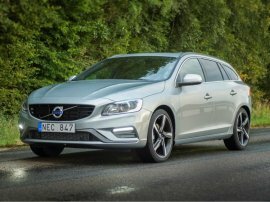 The svelte 2017 Volvo V60 can be had for $36, 150 MSRP, or $41, 700 for the lifted, all-wheel-drive Cross Country version.